Remember that camp is a team effort; no one person can run a camp alone, and every member of the camp team will need help from time to time. 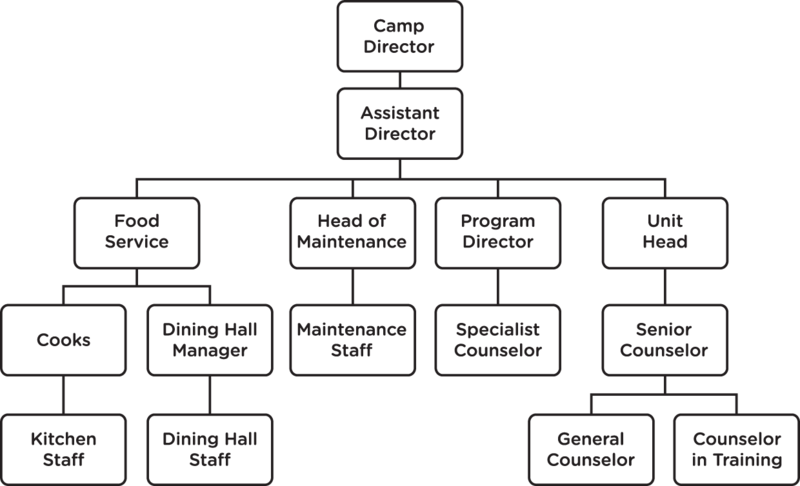 Your supervisor will often provide guidance on how you can contribute to the camp’s activities within your counselor role. If there is a responsibility that is assigned to you, but you do not understand it, find it to be too difficult, or if you just have questions in general, do not be afraid to ask your supervisor for help. He or she will be able to give you the advice, guidance and assistance you need to have a great summer! Every summer, more than 7 million American children go to one of more than 12,000 summer camps throughout the United States. While there, they learn about themselves and the world around them. Even more importantly, they grow both as individuals and part of a team. Camp is designed to help children mature socially, emotionally, intellectually and morally by providing them with a structured environment where they can live and play with positive role models. Experts in the field of child development recognize that camp provides children with an invaluable experience. Regardless of your role, you will be able to make a positive impact on children’s lives at camp this summer! Every camp is different. Each camp has distinct goals, philosophies, programs, policies and types of campers. Though we expect everyone’s summer to be great, we know everyone’s summer will also be different. Get to know the specifics of your camp before you arrive in the United States by looking at its website or emailing your camp with questions. Camps may ban smoking. Some camps will allow smoking only at certain times and specific locations while others do not tolerate smoking at all. Make sure you are familiar with your camp’s policies before the first week of camp is over and do not disobey their policies. Failing to comply with a camp’s policy may result in you being fired and/or required to return home at your own expense. Most camps offer one 12 to 24-hour period off per week. Some camps will give staff days off from evening to evening while others will give time off from morning to evening. Additionally, some camps may give an hour break per day. Sleeping arrangements and cabin responsibilities vary from camp to camp. Some camps have tents while others have cabins or dormitories. Bathing facilities will differ, too. Some camps have large centralized shower or bath houses, while other camps have bathing facilities located within each cabin. Like any other place of business, every camp has a dress code. All clothing worn must be appropriate for working with children! Some camps will allow body piercings or large tattoos while others will expect all piercings to be removed and tattoos covered. Male counselors may be required to remain clean-shaven throughout the summer. Remember that you will be living in a community environment, and personal hygiene is essential to the health of the group. You will be participating at camp as a counselor, which is an essential role in ensuring that camp runs smoothly and effectively. 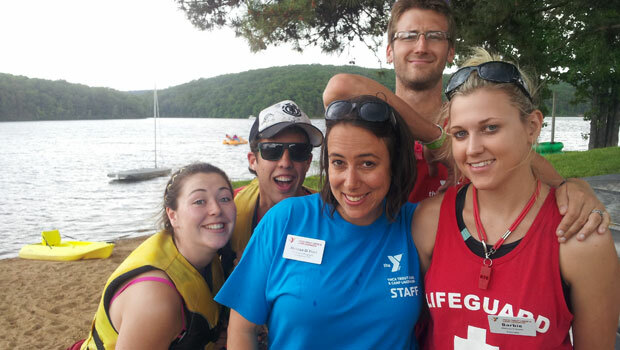 As a general counselor, you are more directly involved with your group of campers than anyone else. You sleep in the same area, eat at the same table and go everywhere together. What you do and say, the way you act and how you care for your campers will have a huge impact on their summer. Remember that your campers will not have parents or teachers to serve as role models during their time at camp. Instead, they will look to you to act as a teacher, parent and role model. As a result, you will have a deep and lasting effect on the lives of your campers. Since you become the role model for your campers, you need to recognize that they will start to behave like you do. If you are not enthusiastic about an activity, your campers probably will not be either. Therefore, it is very important that you have a lot of energy and a good attitude for everything you do at camp, from arts and crafts to the food to waking up early in the morning. As an activities counselor, it is your responsibility to plan, organize and teach one or more specific activity area. The camp administrators will look to you to teach this skill to a large number of children. Usually, you will spend most of your time at your specialty area, teaching different children from various age groups. These activities will last approximately one hour per group and you will have several groups coming to your activity each day. In some camps, you may work only as an activities counselor. In others, you will have general counselor responsibilities part of the time and activity responsibilities the rest of the time. Be flexible! Practice your area of specialty before you leave for camp. Pack so that you have resources when planning your activities for children of varying ages and levels of experience. Familiarize yourself with English words that are used to teach your activity area. Ask for assistance if you run into any difficulties! Cultural exchange occurs when people gain a deeper understanding and knowledge of another country. This can include its culture, customs and day-to-day practices. Our participants and hosts embrace this aspect of InterExchange programs and understand its importance whether they’re part of a seasonal business, camp, family or professional environment. The United States is often referred to as a “melting pot”. It is a place where people of many different backgrounds live, and these people are continually reshaping and redefining the culture. It is further influenced by the many visitors who share their cultures when they interact with U.S. citizens. One of the best opportunities you will have over the course of your time in the United States is to learn more about American culture. That’s what cultural exchange is all about. We’ve created a list of recommended sites and activities for you to enjoy while you’re in the U.S. Take a look and discover new places and aspects of American culture! You can also read more about U.S. culture in our Inside the USA guide. When you first arrive at camp, it may be hard to make new friends and get adjusted to camp life. This can leave you feeling lonely and cause you to miss home a great deal. These feelings are completely normal! Make sure that you have an open mind at the start of camp; the best way to adjust to the situation is to talk to people. Walk around your camp and learn the layout instead of hiding away in your cabin. That way, you’ll feel more comfortable both with the environment itself and the people in it. Take care to make sure everyone feels at home at camp. Make sure everyone knows everyone else’s name and that your group becomes a small community. Talk about what you all like to do and involve yourself in activities you enjoy. Keep yourself and your campers busy. Do activities that involve everyone and encourage the campers to work together. Culture shock is described as the anxiety, feelings of frustration, alienation and anger that may occur when a person is placed in a new culture. Many of the customs in the U.S. may seem odd or uncomfortably different than those in your home country. Being in a new and unfamiliar place can be challenging, even for the experienced traveler, and some feelings of isolation and frustration are completely normal. Participants experience culture shock to varying degrees; some hardly notice it at all, while others can find it very difficult to adapt to their new environment. Many may not attribute their problems to culture shock. Whatever the case may be, understanding these issues and why they happen will help you. You can learn more about culture shock—including symptoms and tips for coping—in our Inside the USA guide.